Rob has a long history of being an Influencer in the world of Canadian BBQ and he’s worn many hats. He is a competitor, with 20 Grand Championships to date. He’s an organizer, having run 5 different sanctioned competitions (with a 6th for 2019). He’s a dual-certified BBQ judge, and former board member of the Pacific Northwest BBQ Association. In 2014, when the need for a National BBQ organization in Canada became apparent, he helped co-found the society. Rob and his wife Jacy make their living from barbecue – with 2 crews working the Ribfest circuit in the summer and a Regina-based food truck and catering business that runs all year. His line of championship bbq rubs and sauce, along with Canada’s largest BBQ School, help fill in the gaps over the winter. In 2016, Rob was invited to be the featured International Chef at the Memphis in May World Championship Barbecue Cook-off – and shared his unique spin on Canadian cuisine cooked on a smoker with VIPs, and local / state government officials. My name is Kris "Big Daddy" Valckx, and I'm the Pitmaster for Calgary-based Rocky Mountain Smokers. We've been competing for 9 years, with multiple Grand Champions and Reserve Grand Champions, and in 2017 were one of three teams drawn to represent Canada at the Jack where we finished with a 12th place brisket. I run Pitmaster classes in Alberta, and I'm also a member of the BBQ on the Bow Society, which runs one of Canada's oldest BBQ competitions entering year 26 in 2018. When I'm not busy with BBQ, I get to play with airplanes all day working with the WestJet Tech Ops team. Recently, I've been elected to the role of President of CBBQS which is a great honor. I'm looking forward to working with everybody to improve the state of BBQ in Canada and provide improved value to our members. It won't be easy, but thankfully I have a great group of folks to help. I have been BBQing since 2007 when I bought a cheap offset from Canadian Tire and made a lot of bad bbq. I slowly leveled up my abilities and started a competition bbq team in 2012 called The Devil Made Me Q It with my teammate Evan Cole. I've cooked on just about every style of cooker and love the time spent tending a stick burner as well as the ease of a Weber Smokey Mountain. My name is Manny Mavroudis from Laval, Quebec. I got involved in the BBQ competition world after watching a TV program that sparked an interest. There wasn't much happening in Montreal back in 2015 but did find a few amateur/backyard events in Ottawa. Finishing last out of 11 teams at my first competition was a shock but I kept going back to these gatherings. Since then I've explored BBQ in Kansas, Texas, the Carolinas and even qualified to compete at the World Food Championships in Alabama in 2016. My name is Chris, though most of the time I only answer to Zinger. I have been around BBQ my whole life, and to me, barbeque means friendship, family, and fun. Some of life’s greatest moments are shared around the barbecue. I am a very social person, especially if you want to talk anything BBQ, BBQ restaurants, backyard tips and tricks, and experience around the flame. Frozen Toque BBQ is the name of my competitive team. I started the team in the winter of 2016 when I chose to cook rather than be a judge, as I had in the past in the great BBQ State of Texas. At that time little did I know there was a BBQ scene in Canada and its growing! Since then I have had the pleasure of mentoring judges, assisting new and experienced competing teams, and guidance for the general public. I have used teaching BBQ as a corporate hands-on team building exercise. I've been a competitor since 2010 and I have been a part of the Canadian BBQ Society since Day One. I am also an Organizer and a Certified BBQ Judge. I teach private BBQ Clinics in Ottawa and as part of my association with BBQclasses.ca, I teach Competition BBQ Classes in Eastern Canada. You could say that BBQ sauce runs in my blood. 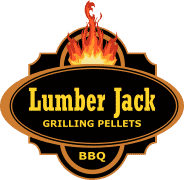 As a Canadian BBQer, I am incredibly passionate about our hobby and it's presence in Canada. Now in our 4th year in operation, The Canadian BBQ Society is bigger than ever and as a member of the Board of Directors, I am very proud to serve the Members any way I can. The Canadian BBQ Society is a non-profit organization of Professional BBQ Competitors, Organizers and Judges, all with two common passions: BBQ and our beloved country.Our Mission is to enrich the BBQ culture in Canada by promoting, teaching and celebrating the friendly spirit of BBQ in all provinces.